PC Pitstop is proud to welcome Dave Taylor as a guest contributor. 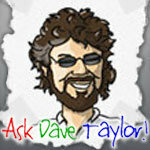 Dave splits time between free tech support on AskDaveTaylor, film reviews on the popular DaveOnFilm.com site, parenting discussions on Go Fatherhood and business, marketing and industry analysis at The Business Blog@ Intuitive.com. Along with a zillion other things. 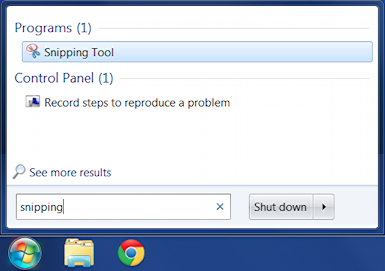 A while back you wrote about how to use the PrtScrn and MS Paint to capture or grab screen images in Microsoft Windows, but there’s an easier way, Dave, a utility included in Windows 7 called Snippet Tool. You should definitely check it out and share it with everyone! You’re absolutely right and thanks for bringing that to my attention. It’s hard to keep up on what’s new when you’re stuck in a rut. The Snippet Tool is definitely easier, but it’s still not quite accomplishing what I seek which is to have a tool that with no more than one or two keystrokes takes a screen shot and saves it to disk for later editing or modification. Yes, there are third party tools, but at $50 or more, they’re all rather astonishingly expensive, particularly when compared to the built-in screen capture capability of Mac OS X. So let me show you how to work with Snippet Tool to facilitate taking screen grabs the next time you find yourself needing a capture or two. Ask Dave Taylor dave taylor. permalink. Enterprise CIO Forum: Data, the root of all (IT) evil?